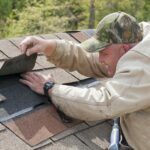 Expert advice on how to buy, install, and repair asphalt-fiberglass (composition) roofing shingles, including helpful diagrams of typical roof construction. Asphalt shingles are by far the most commonly used roofing material in North America. 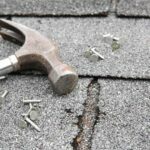 Although wood shingles, slate, tile, metal, and a host of other materials can be used to surface house roofs, asphalt stands out as the roofing material of choice because it is relatively affordable, easy to apply, fire-resistant, comparatively lightweight, available almost everywhere, and durable enough to last for 15 to 40 years. In the past, uninteresting appearance was the biggest strike against asphalt roofing—it just didn’t offer the visual interest and charm of classic materials such as wood and tile. But things have changed. 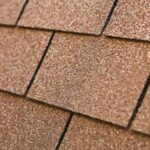 Today, asphalt shingles are sold in many textures, grades, and styles that are reasonably convincing at mimicking the look and character of traditional materials. 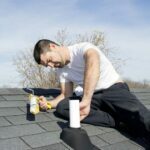 Do-it-yourselfers favor asphalt roofing because they can handle repairs and, in some cases, even tackle replacement. The articles in this section will help you make an informed choice and guide you through the basics of DIY repair and installation.